ap>After the previous post about the mandelbrot renderer written in Go, this article will be related to the same topic, only this time i'll talk about a terminal based Julia set generator written again in Go language. 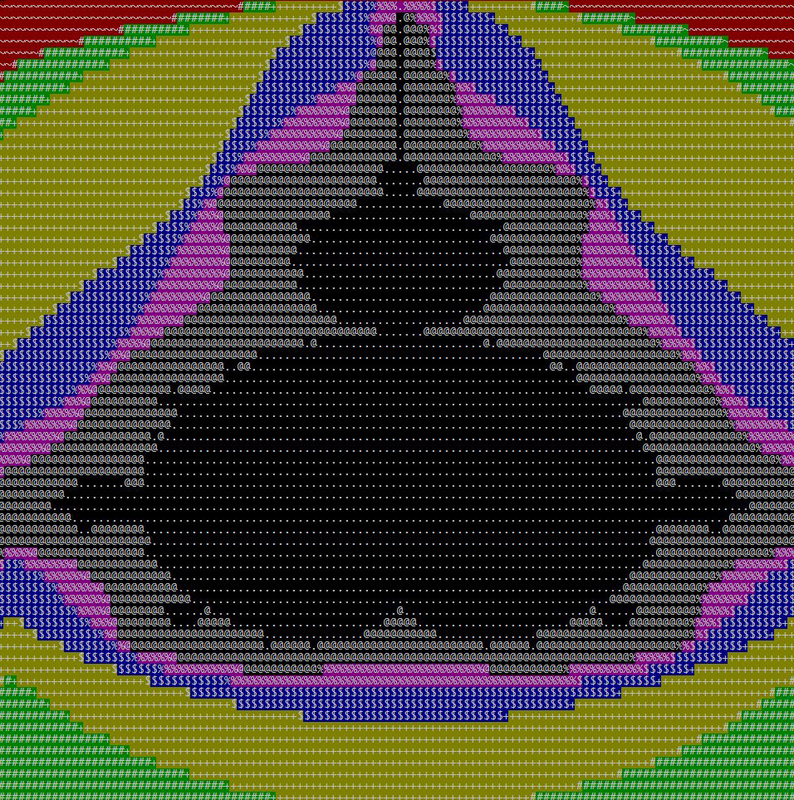 In fact i've done this experiment prior to write the mandelbrot renderer. About the implementation I've discussed in the last article. The whole idea came from the motivation to create something which resembles the feeling which only a terminal based application can create (something which is close enough to the pixelart technique), but at the same time it has enough visually appealing characteristics and above all it's dynamic. This was nice but i wanted to be dynamic, and not something simply put in the terminal window. So i've started to search for methods to refresh the terminal window periodically, ideally to refresh on each mandelbrot iteration. For this reason i've created some utility methods to get the terminal window width and height. And another method to flush the screen buffer periodically. Then we can clear the screen buffer periodically. In linux based systems to move the cursor to a specific place in terminal window we can use ANSI escape codes, like: \033[%d;%dH, where %d;%d we can replace with values obtained from the mandelbrot renderer. In the example provided in the project github repo i'm moving the terminal window cursor to the mandelbrot x and y position, after which i'm clearing the screen. To make it more attractive i used a cheap trick to zoom in and out into the fractal and to smoothly displace the fractal position by applying sine and cosine function on x and y coordinate. One last step remained: to clear the screen buffer on CTRL-C signal, in another words to clear the screen on control break. For this i've created a channel and when the CTRL-C was pressed i signaled this event and on a separate goroutine i was listening for this event, meaning i could break the operation. You can run the example in monochrome or color version. For the color version use --color or -c. For monochrome version use --mono or -m.
You can build the binary version with: go build github.com/esimov/asciibrot.